The Charity’s 6th year has seen further significant development in the integration of communities along with a host of successful achievements that have been instrumental in driving the overall ‘inclusive’ message forward. In September 2014, the charity was awarded continuation funding for a further three years (£151,811), to be delivered in three separate grants. The End-Of-4th-Year Report will soon be submitted to Children-In-Need for review. 2014-15, the project has continued to see ‘engagement’ workshops taking place now across the main Gypsy & Traveller sites. The aim has been to engage children and young people through arts-based cultural activities. The project has been very well attended by children and young people and has been successful in meeting the three main objectives set out for it. The additional BBC ‘CIN’ funding has allowed an additional Development Officer to be employed to support with growing and developing the project. The project will be extended in 2015-2016 to include more sites so that more children can be reached. This year, we have co-ordinated another highly successful, well-attended GRT History Month Gala Day Celebration with many Welsh Local Authorities represented. We organised a ‘Design-a-badge’ competition in conjunction with Dr Daniel Baker (who has been working with RCAC on a very successful Arts Council Of Wales project). This competition was for schools and this was well-received. The competition supported the National Literacy & Numeracy Framework and was open to all children with two entry categories available: Key Stage 1 entries and Key Stage 2 entries. It was the perfect way to celebrate big themes such as diversity and equality as well as an opportunity to explore history and culture in an exciting way. The winners have been announced with certificates and letters being posted. In 2014, we anticipated co-ordinating a full History Month Celebration in 2015 and now aim to make this an event every two years. This will enable the charity to build direct relationships with schools. We will try to avoid the local authorities whose EMTAS teams have shrunk to incapacity levels and are not always able to properly support nor facilitate effective partnerships between the charity and schools. ‘Family Lines, Family Trails’ has been 100% community-led and is focusing on identifying, recording and gaining a better understanding of Gypsy and Traveller family heritage and culture. Through this, the charity is trying to change the negative attitudes and behaviour of the wider public towards this marginalised group in society by ensuring that people can learn more about this hidden culture. This is an exciting, innovative development of the current ‘Tales From The Trailer’ project, also supported by the Heritage Lottery Fund. 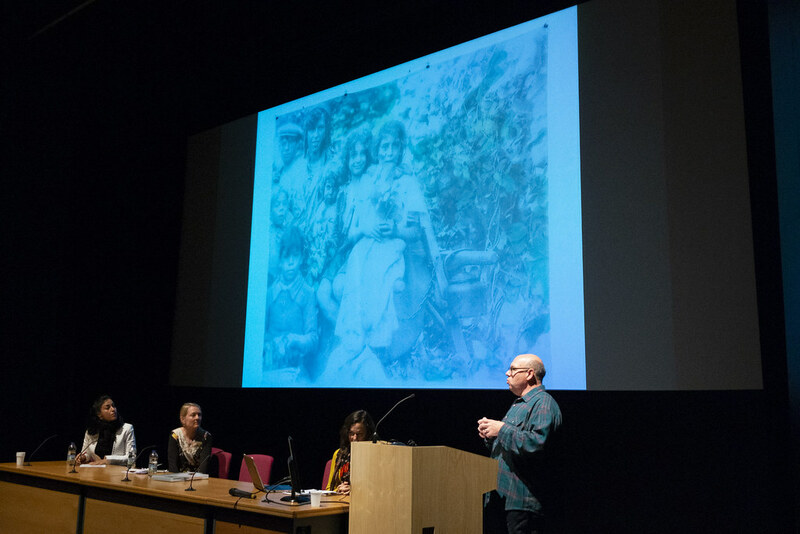 ‘Family Lines, Family Trails’ is seeing Gypsy and Traveller community members work alongside families to source photographs and other items that are becoming the stimuli for recording the dynamics of the Gypsy and Traveller family over the decades. 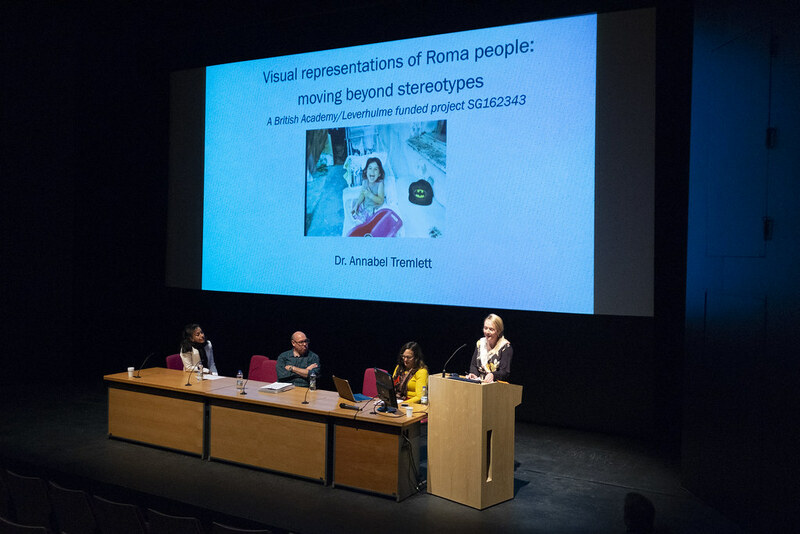 The older the photographs, the better – as The Romani Cultural & Arts Company uses the project as a mechanism for reconnecting distanced family members and building interesting links with the present and the past. Jamie James; the Heritage Project Officer has been very successful in the first year of this second project in drawing out even more interesting stories and accompanying realia such as newspaper cuttings and family photographs. Jamie has used social media as one of the principal vehicles for mobilising interest in the project and she has seen the number of GRT community members willing to participate growing substantially. As of August 2015, Jamie reports having recorded 47 quality oral histories. To complement the project, Isaac Blake; Director of RCAC, has been seeking donations of GRT-related books, texts, papers and artefacts from Local Authority EMTAS services and other organisations. This call for materials has resulted in many valuable contributions and donations being made to RCAC. There is now a viable mini-library which will become significant as the charity seeks to realise its vision of developing a GRT-centred national cultural venue over the coming years. 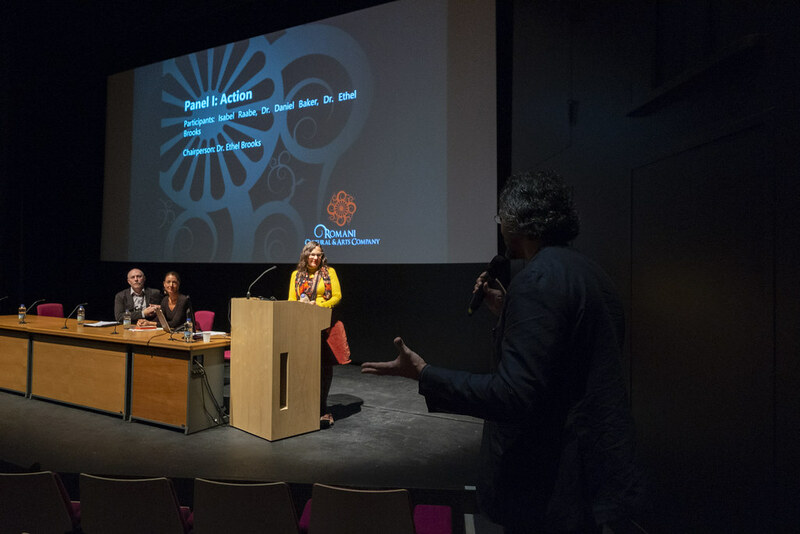 The October 2014 “Great Gypsy, Roma, Traveller Debate” brought together members of the Gypsy, Roma and Traveller community with politicians, policy makers and public servants and addressed the issues that have become so prevalent in the past few years. The invited panel of experts addressed many questions and issues. RCAC hosted this event to provide an opportunity for Gypsies, Roma and Travellers to express their views, in their own words while responding to the questions and concerns raised by service providers, local authority managers, teachers, health professionals and police officers. 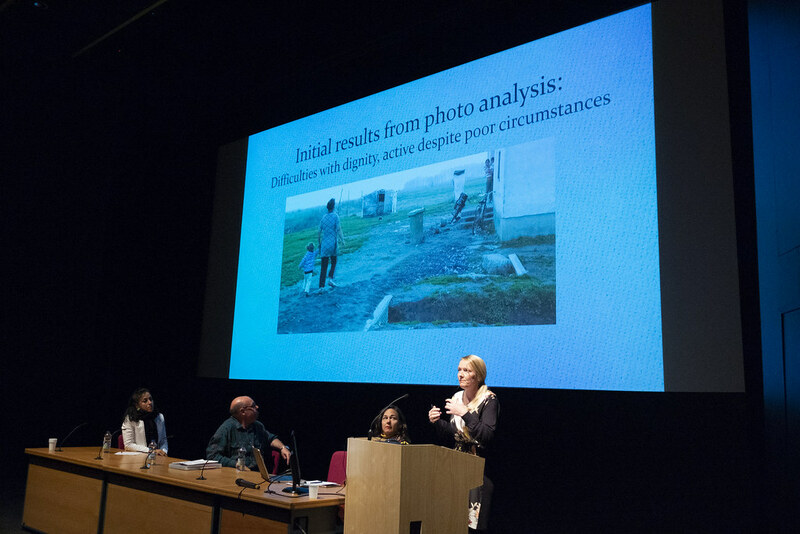 Dr. Ethel Brooks – 2011-2012 Fulbright Distinguished Chair, University of the Arts London said: “The Romani Cultural and Arts Company has an outstanding record in artistic practice and community engagement, exemplified by its work with Gypsy, Roma and Traveller Communities across Wales through arts and culture practice and education. The Symposium will provide a unique space for Gypsy, Roma and Traveller community members to engage with politicians, academics, community advocates and policy makers to address the European Roma Integration Strategy and the work of the Welsh government in its implementation, along with other urgent questions facing our communities”. Julie Morgan Assembly Member for Cardiff North said: “I am delighted to speak at and support this years symposium.It is a wonderful opportunity for the different communities to come together to share experiences and give views to influence policy in this very important area”. 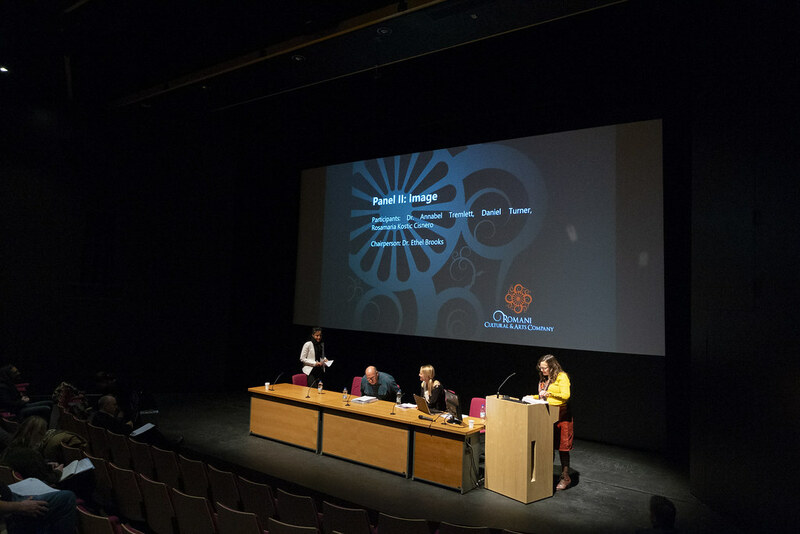 The resulting report from the symposium was launched and presented to Welsh Government Ministers in January 2015 and has already generated valuable debate around the changes required in policy and practice to accommodate the genuine needs of Gypsies, Roma & Travellers. 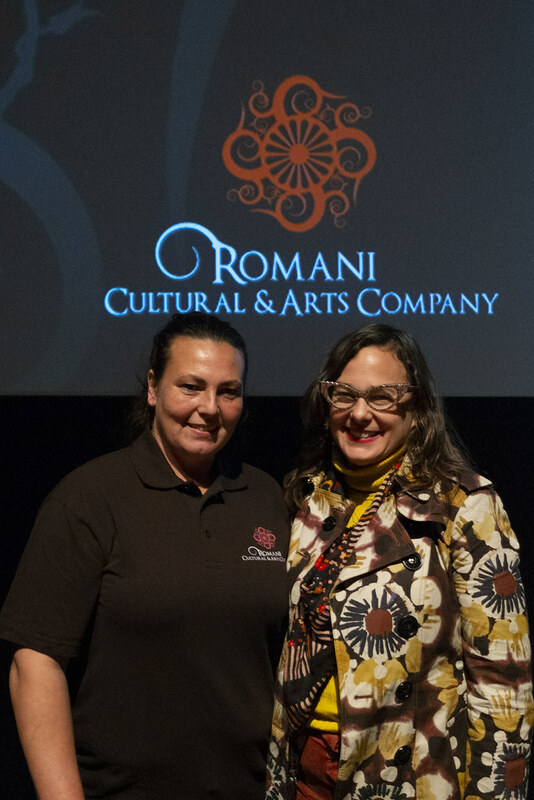 The Romani Cultural & Arts Company was proud to present the Gypsy, Roma & Traveller Arts & Culture National Symposium. The event, hosted by g39, featured artists Daniel Baker and Shamus McPhee plus guests including Dr Ethel Brooks, Associate Professor of Women’s and Gender Studies and Sociology at Rutgers University, US and a Tate-TrAIN Transnational Fellow at the University of the Arts London and Nick Capaldi, Chief Executive of Arts Council of Wales. 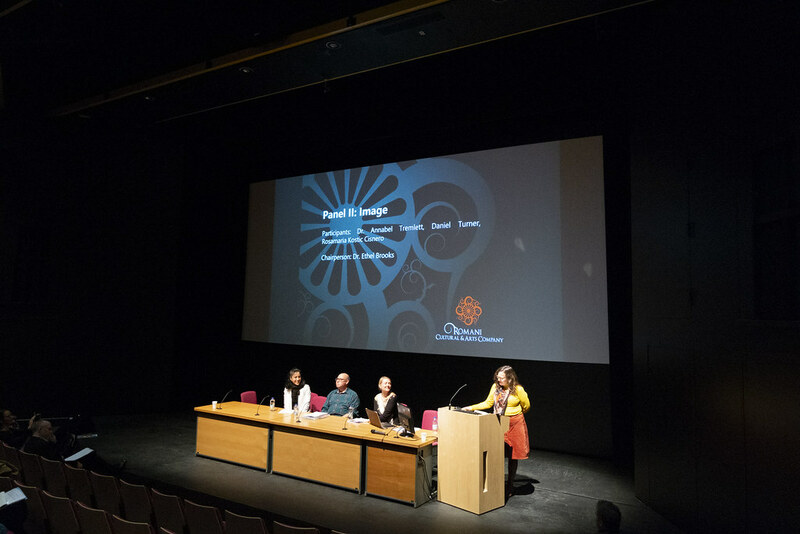 This varied range of speakers engaged the audience in conversation regarding the current state of GRT arts and their implications for wider society. 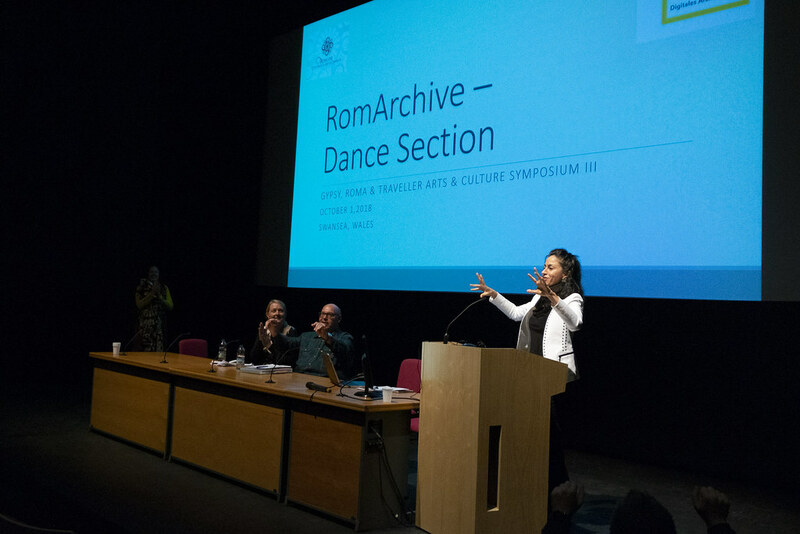 This unique event took place in the context of the Gypsy Maker project; an exciting new RCAC venture that facilitates the development of innovative works by established and emerging GRT artists. 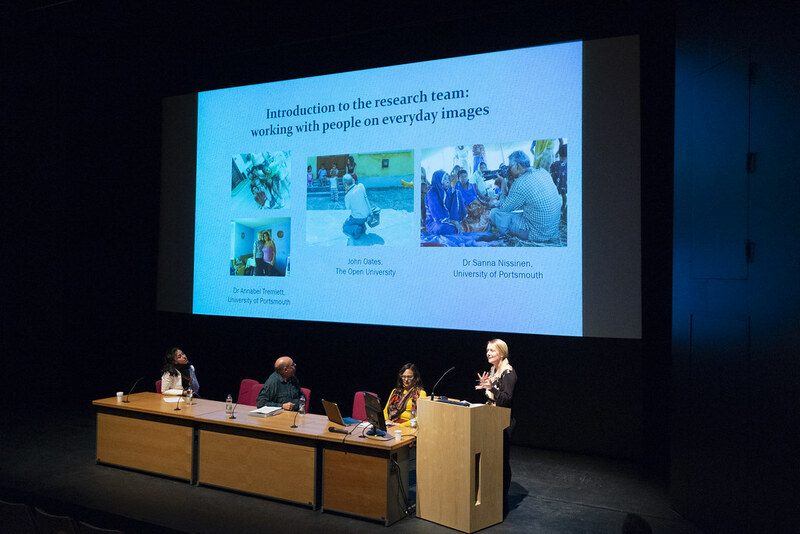 The project aims to stimulate dialogue across communities about the ways in which art continues to inform our lives. 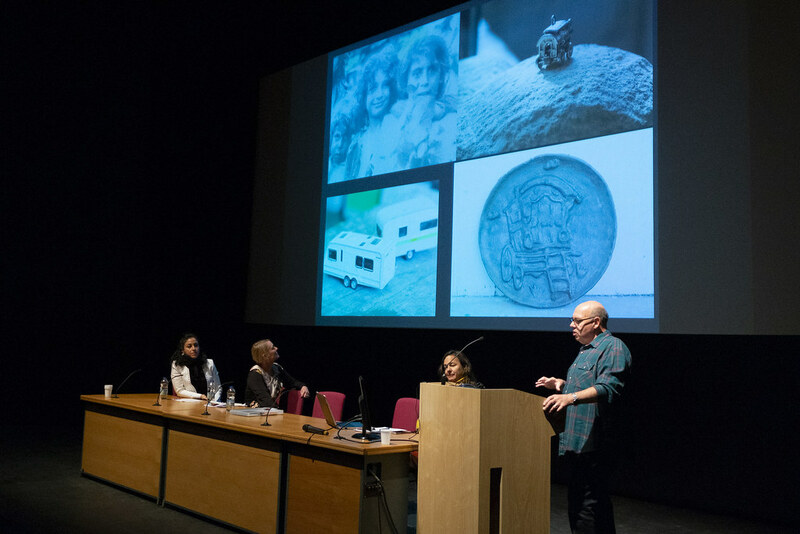 For this inaugural presentation of the project the RCAC has commissioned exhibitions of new work by Daniel Baker, Romani Gypsy and Shamus Mc Phee, Scottish Traveller. The half-day symposium was followed by a visit to Baker’s exhibition ‘Makeshifting: Structures of Mobility’ at Art Central, Barry. A private view of McPhee’s exhibition ‘Aspects of Gypsy Traveller Life’ also took place at The Riverfront, Newport. 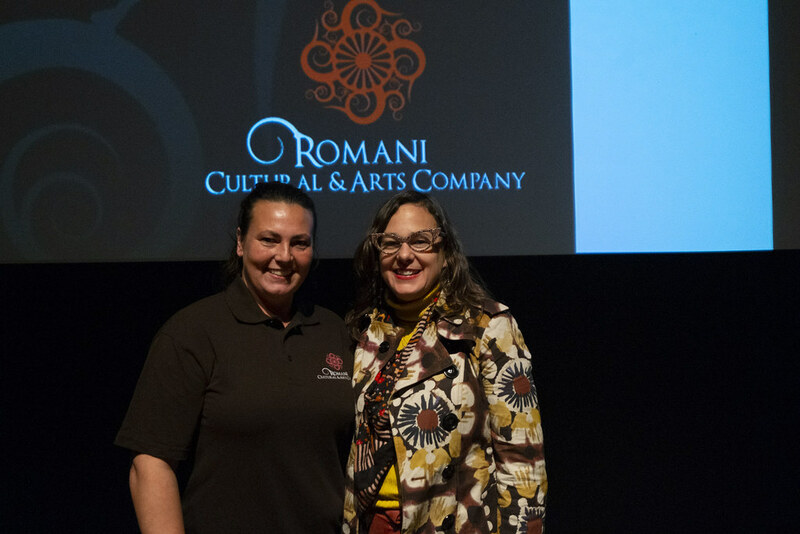 The Romani Cultural & Arts Company has been proud to lead on an exciting new project that has seen established and emerging Gypsy and Traveller artists develop innovative works while engaging the Gypsy, Traveller community and wider public in an ongoing dialogue about their inspiration and cultural perspectives. Daniel Baker has been our established artist for the 2014-15 pilot year. He is a Romani Gypsy. An artist, curator and theorist, he holds a PhD on the subject of Gypsy aesthetics from the Royal College of Art, London. 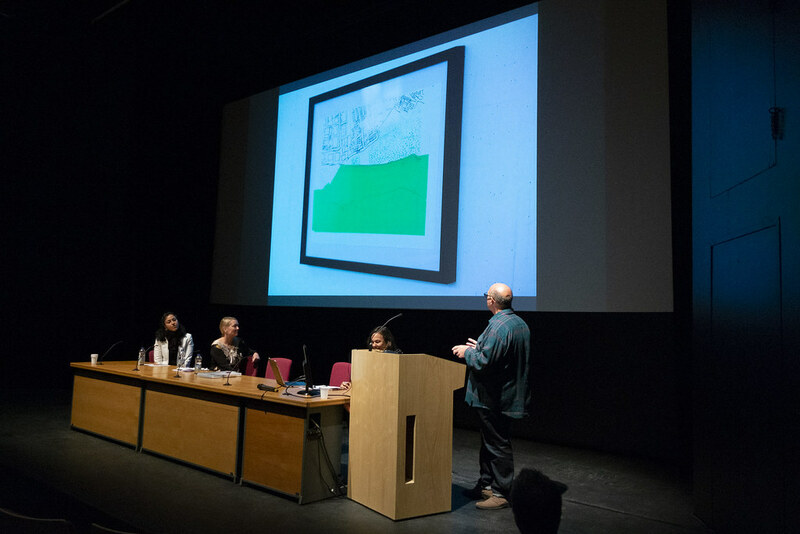 Baker’s work is exhibited internationally work can be found in collections across Europe, America, and Asia. Shamus McPhee is a Scottish Traveller, artist and activist. He holds a M.A. in Celtic Hispanic Studies from Aberdeen University, Aberdeen. The over-arching theme of this new work will be : ‘Aspects of Gypsy Traveller Life’, and he created and exhibited several pieces of work whose focus would be the examination of attitudes witnessed in the social response to Gypsy Traveller culture in Scotland. Each artist will has donated several pieces of their work to the charity so that an ongoing physical collection can be amassed. Both Daniel’s and Shamus’ works have been very well-received with some interest from venues in England to host some of the exhibition art work. Public interest has also been recorded as high; a positive when trying to challenge misconceptions and promote a dynamic picture and vivacity of the GRT artistic heritages. RCAC is planning to develop the Gypsy Maker project into phase 2; 2015-16 where Daniel will become a mentor for GRT emerging artists and support their development through preparing for further exhibitions and performances. We are currently examine proposals for funding that could include a GRT sculptor and a photographer who will exhibit their new works in 2016. We are very proud to have received a £5000 grant from the Allen Lane Foundation to fund a part-time Community Champion post. We wanted to fund a part time Co-ordinator post to support the creation of more Community Champions for the Cardiff area. This has enabled us to truly develop local Gypsies and Travellers to take control of their own destinies and positively impacted on reducing the effects of isolation and discrimination on more Gypsies, Roma & Travellers than ever before. We wanted these Community Champions to enable regular social activity and quality community voice sessions and consultation on a range of issues, enabling agencies and public services to gain access to sites. Through this grant, we have managed to support older GRT community members with issues with the Local Authority and have ensured that their voices have been heard by the Older People’s Commissioner For Wales (Sarah Rochira) who has elected to take on some casework from the sites in Cardiff due to older people’s voices been made even louder thanks to the Allen Lane Foundation funding. RCAC will explore the viability of submitting a further application for even more funding to grow this project into 2016. 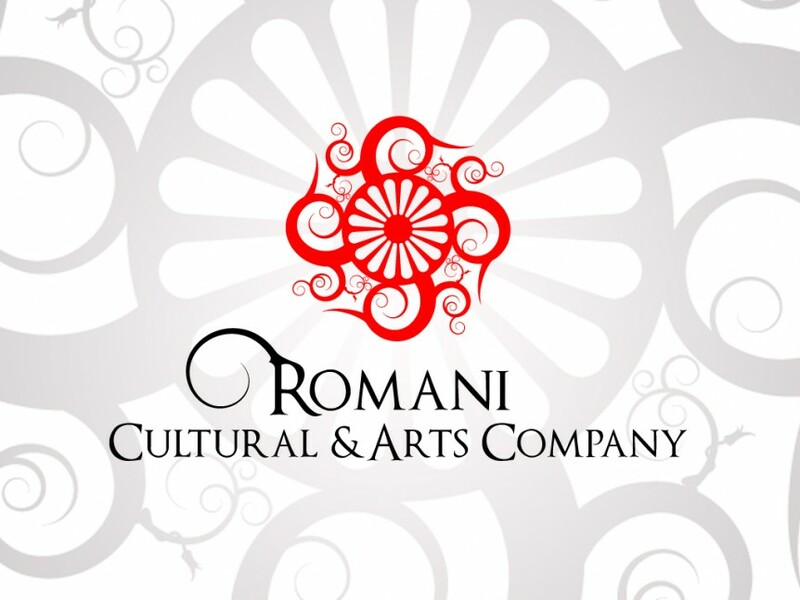 In addition to the above activities of The Romani Cultural & Arts Company, we have continued to be significantly involved in numerous activities and policies to support the development of work that has already generated vast interest and inspiration throughout all communities in the ultimate aim of reaching integrated harmony between the variant cultural differences. The charity continues to naturally enable positive change to occur for the GRT communities of Cardiff (and beyond) by encouraging developments to begin ‘inside the community’ not ‘external’ to the community. The community members are continuing to offer their services to the charity and they are leading the development of projects. This year has seen several community members supporting and volunteering on projects. The charity is leading the way in raising the profile and confidence of women from GRT communities by creating opportunities for them to work in professional contexts. This truly ensures that the service the charity provides 100% continues to meet the needs of the community members, their families and their children. The charity is not seeking ‘quick-wins’. The charity is not seeking to grow for the sake of growing – the charity will grow because the community wishes it to become the principal organisation working with them and for them. In 2015, RCAC has ensured representation in Europe and promoted its successful project work in Budapest. 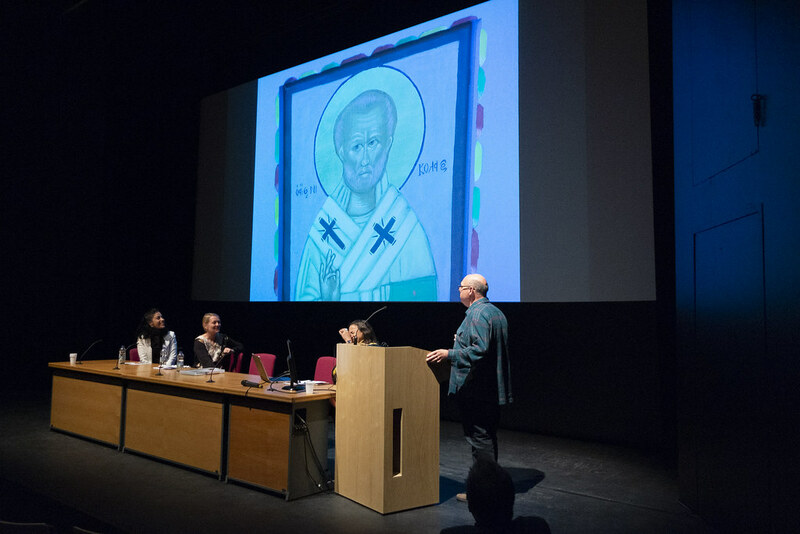 In March 2015, Director Isaac Blake spoke at Gallery 8 in Budapest in front of a diverse audience. Isaac spoke about the important, ground-breaking work of RCAC in Wales and beyond. Isaac answered many perceptive questions and suggested a partnership between Gallery8 and RCAC so that the two organisations could learn from each other. The audience was impressed by with visual evidence of the impact of RCAC’s work and acknowledged the significant leap forward in creating genuine ‘Community Champions’ who support the work of RCAC on the ground. Dr Ethel Brooks and Dr Andrew Ryder attended the presentation and supported Isaac in commenting on the success of the work he does in Wales. Isaac now intends to travel to Budapest more frequently with the aim of nurturing a deep, purposeful partnership with Gallery8 and other organisations. RCAC also had Chris Lee representing the organisation and GRT in Wales at a GRT LGBT conference in Prague during August 2015. 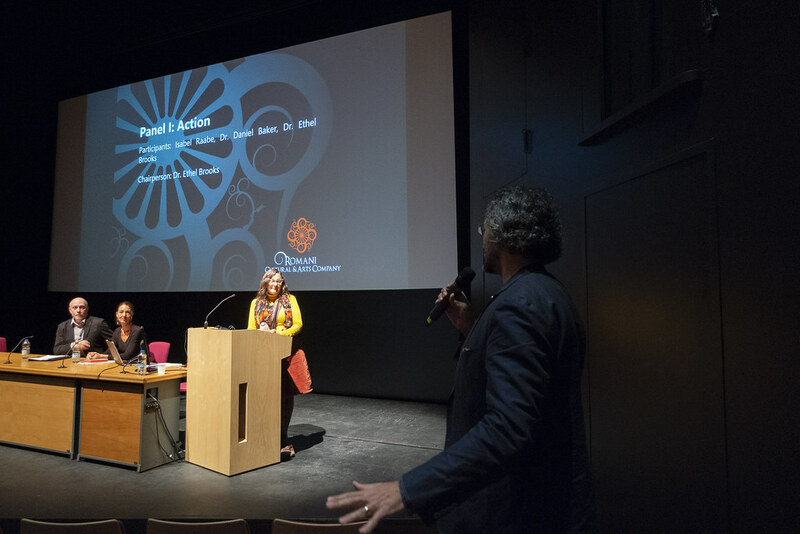 This historic International Conference highlighted and explored the many challenges facing Lesbian, Gay, Bisexual and Transgender Roma in Europe and beyond. 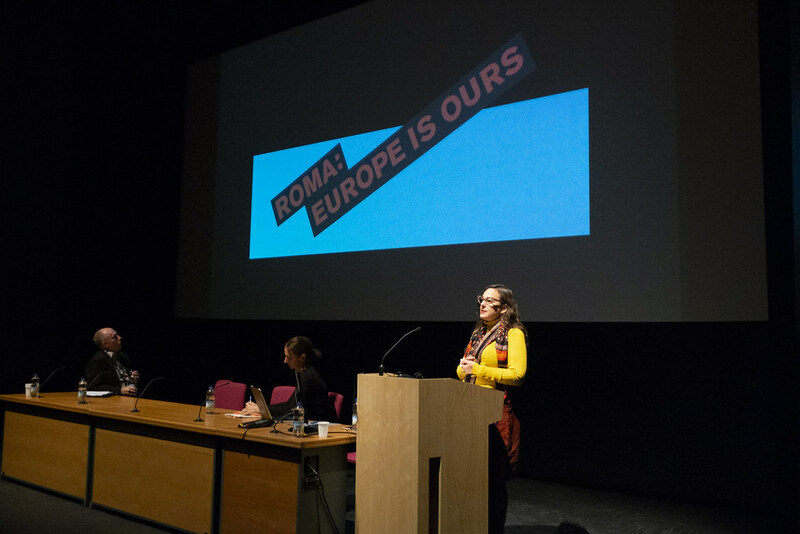 The programme included presentations and discussions on International and European rights and standards in relation to discrimination and how national legislation impacts on the lives of LGBT Roma in Spain, Slovakia, the Czech Republic and Britain. 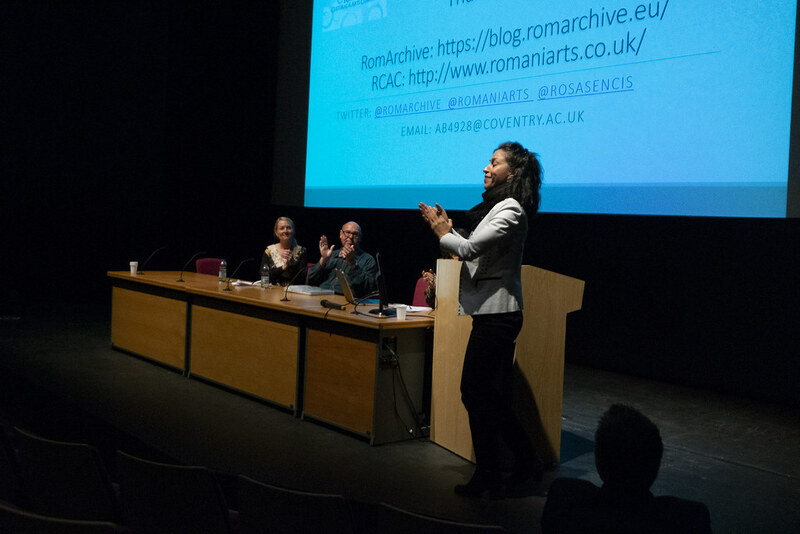 The Romani Cultural & Arts Co. was also pleased to work in partnership with the Gypsy, Roma, Traveller Police Association, established in 2014, to deliver a ground-breaking training workshop for members of the police, prison and probation services and from the justice system, such as local magistrates and court officers, aimed at improving relations and communication with the Gypsy, Roma, Traveller communities in Wales and across the UK. The workshop took place in Cardiff, South Wales and is the first of a series that will be part of a process of developing materials for use by police and justice services in a national and international modular training programme, supported by the Open Society Foundations Initiative for Europe anti-Gypsyism projects. “It’s extremely important the training packages meet the actual needs of police officers and others in the justice systems, rather than being designed in the abstract”, says Dr Adrian Marsh, the consultant and lead trainer in the project. “Too often, this kind of approach means that materials are developed that reflect interests and information that show how knowledgeable the writers and trainers are, without meeting the actual needs of those participating in training. Our project aims at testing materials in action and being able and willing to listen closely to the responses from experienced and knowledgeable participants who are themselves practitioners in their fields. If they say something works well for them, we know it is useful; it it doesn’t, we have to change it until it does.” This development and consultation will mean that a number of focus groups, workshops and online surveys will have contributed to the final package, before it is delivered nationwide. Uniquely for this kind of training, RCAC supported the workshops with Community Champions, members of the GRT communities who have participated in projects and activities over the previous years and representative ‘voices’ from Gypsy, Roma, Traveller perspectives. Jamie James, one of the Community Champions says, “We have been working with Isaac and the RCAC to carry out arts workshops with children on sites, support national conferences and seminars, advocate with members of the Welsh Assembly and deliver training around self-empowerment for Romani and Traveller women. The Vice Chairperson of the GRT PA EC, RCAC Trustee, Petr Torak has recently been awarded an MBE for his work in reaching out to Romani communities and reaching into the police services around the country, to build better understanding and communication between these two groups. A Czech Roma in origin, Petr has worked hard to overcome the prejudice he experienced in his homeland and sometimes in the UK police service itself, and towards Roma, Gypsies and Travellers. Making a difference is what is most important to him, as his recent award shows. We are still planning to develop a training and consultancy arm of the charity which will support the generating of unrestricted funds. We are also advertising the ‘hiring out’ of materials for the same purpose. A proposal was received from an organisation to manage their training contract; this has yet to develop into anything concrete – an indication of a challenging funding climate for many organisations currently. RCAC is aware of the need to secure continuity funding in a challenging financial context – RCAC has developed a simple ‘Diversifying Funding’ strategy which outlines its expectation to branch out and seek continuity and growth funding from different funders. RCAC is also aware of the need to be able to clearly articulate its brand and vision for the future. RCAC has produced a simple ‘Trailing Ahead’ document which outlines its current status and vision for its future growth and development.